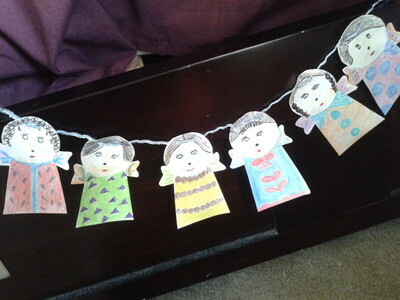 This is a simple fairy bunting to decorate your doll's room. Make a stencil for the fairy. Use a circle like bottle lid to make the face cut-out. Make a parallelogram shape cut-out for the body and dress. 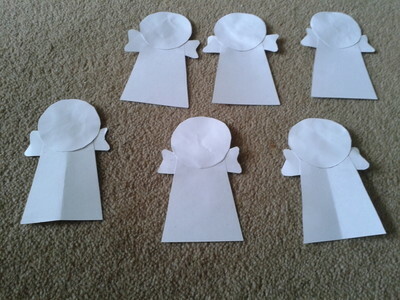 Draw a small wing shape and cut a pair for each fairy. 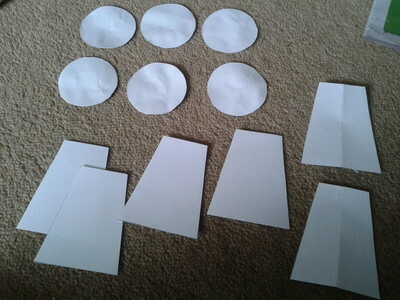 Cut out for the number of pieces you want in the bunting. Assemble and stick them together. 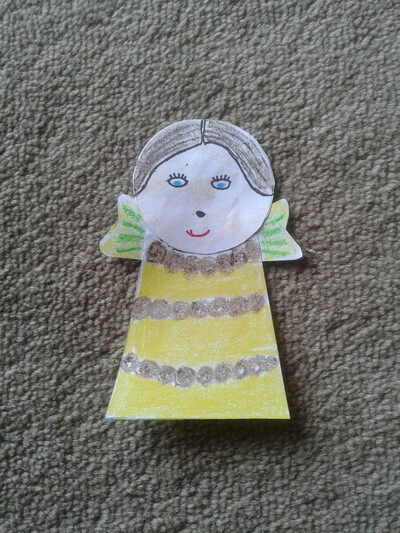 Let the kids help for colouring the fairy's dress or you can do it yourself. Be innovative with different shapes, designs and colours. Use the marker pens to draw hair, eyes, lips and lips. 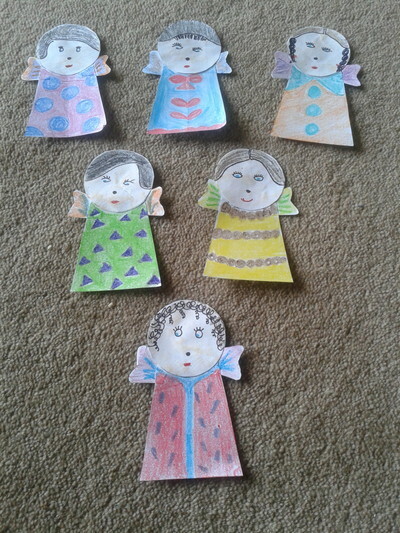 I have made different hair-dos for each fairy. Now with the point of a pencil, pierce 2 holes, little apart in the hair area of each fairy. Pass a string through each, leaving adequate on sides to tie. Your fairy bunting is ready. Use it to decorate your daughter's room, bed or doll-house.